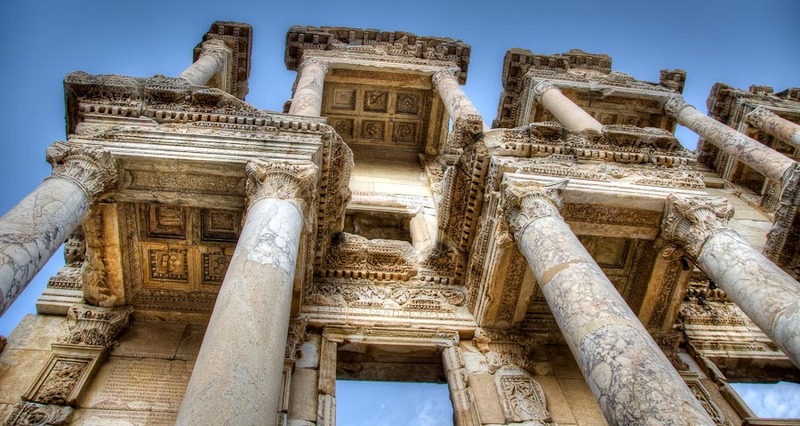 It's a stunning piece of architecture, and the stonework is incredibly carved. Need I say it makes me very happy to see so much money and effort expended on a library? Yes, it does. Well done, Consul Celsus! It's also hard to tell that I was surrounded by about 10,000 people when I took this picture. This place is beset by tourists from dawn till dusk, and getting people-free photographs here is a serious challenge. In the parking lot outside, they were playing a game of 'fit 100 tour buses into a parking lot designed for 20' that involved a lot of hooting. It was quite a sight, and made me glad we walked the two kilometres from the nearest town instead of bussed. 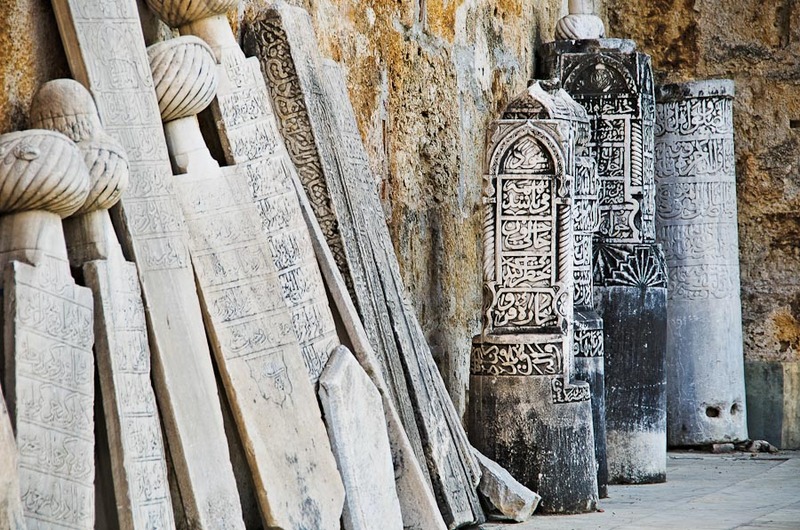 I saw all these carved stones set out against a wall at the Isa Bey Mosque in Selcuk, Turkey. I'm not sure if they are gravestones or some other kind of marker, but they looked to me like they had been set up by some archaeologist, all collected together, so that he or she could ponder where in the puzzle of restoration each piece fitted. It was common sight at historic sites throughout Turkey. This image is my first attempt at using the Photoshop luminance mask technique of Tony Kuyper. He has some excellent and fascinating tutorials on his website. On first read it's terribly complex stuff, but with practice I think it will come to be a lot easier, and it looks (amongst other things) like a great alternative to doing HDR with specialist HDR software like Photomatix. The luminance mask technique is far more manual and allows superb control of the final image. It's well worth a very slow and careful read on his site, and it's also well worth downloading his photoshop actions so you can try it for yourself. This particular photo is not HDR and was not bracketed. I did try a single exposure tone-mapping of it in Photomatix, but in this case I prefer the far more natural and contrasty look that came from using luminance masks. I'm sure I'll have a lot more to say on this technique later, but first I need many more late nights to fiddle on it.